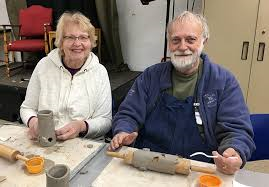 Paramount Art Sparks is an interactive art program for enhanceing the relationship between a person living with memory loss and their care partner, both of whom are living within the same household or caring for a person in their home. Trained teaching-artists and volunteers will provide four, 4-week arts exploration sessions to include looking at art, making art a time for social interaction. Courses will be held on Monday morning in January, March and May of 2019. To register an individual with memory loss and their care partner go to www.paramountarts.org. Click on the heading for Education and Outreach or call 320.259.5463, Paramount Center for the arts. Funded in part by a Minnesota Board on Aging Dementia Grant.